How does the heart work and how does it go wrong? The heart works as a pump in the body, pushing blood through the arteries towards all organs and accepting blood coming through the veins towards the heart. It can thus be seen as a closed system of pipes running through the body. The heart itself is a muscular organ with four chambers. There are valves separating the chambers, preventing blood from moving in the wrong direction. It is usually here that the problem occurs. With age, although there are other reasons as well, the valves start to degenerate and deform, and cause the valves to fail in their function. Depending on which valve in the heart fails; it will result in either left heart failure also known as ‘forward failure’, or right heart failure or ‘backward failure’. As blood gets pumped from one chamber to the next, a small percentage of the blood gets pushed back to the previous chamber. Due to the fact that the circulatory system is a closed system, pressure will build up in that chamber. This puts more pressure on the heart muscle and the heart needs to work harder to get the blood pumped to where it needs to go to in the body. The damming back of blood is where the word Congestion comes from in Congestive Heart Failure. At first the heart can cope fine with this increased work load (compensatory phase) and no clinical signs will be noted. At some stage however the heart muscle will weaken to the point where it cannot cope with the increased work load anymore and a chain of events will be set off that result in clinical signs to be shown by the patient (decompensatory phase). This is usually the stage where owners will notice something is not quite right with the pet and take it to the vet. How do I know my pet is suffering from congestive heart failure? The clinical signs seen will depend on which side of the heart is affected more. With left heart failure you will notice exercise intolerance, meaning the animal will get tired more easily than usual during increased activity. Your pet will also be breathing more heavily and might seem uneasy. Coughing also occurs with left heart failure, due to the buildup of fluid in the lungs. Coughing will often be more prevalent at night and the animal will find it difficult to settle down. If the coughing gets severe, they will often retch up a white foamy substance. The animal may pace backwards and forwards at night and seem uneasy. In severe cases, the animal can faint or lose consciousness for a few seconds. This may look like a seizure as the animal might paddle with their front and back legs. With right heart failure, fluid builds up behind the heart. This fluid can fill the abdomen causing the abdomen to distend. The liver often enlarges as well, adding to the distended abdomen. Due to the closed nature of the circulatory system you will often find clinical signs related to both left and right heart failure, as a pressure overload on the one side quickly affects the other side. When you bring your pet to the vet, the vet will have a good listen to the heart. An affected heart will have a murmur audible with a stethoscope. This sound is due to the increased turbulence of the blood flow past the malfunctioning valves. The sound of a murmur can be very faint in early cases or quite severe and very audible in severe cases. In severe cases there may also be a thrill on the side of the chest which one can feel with your hand. On examination the tongue will often have a slight purple tinge to it, indicating the lack of oxygen supply to the body. The heart rate will be increased as well due to the increased work load put on the heart. If these signs are found by the vet, he or she may suggest further diagnostic tests for example X-rays, ultrasound or an electro-cardiogram (ECG). In some cases the vet may also suggest blood tests because other organs may also be affected by the heart’s failure. Is congestive heart failure a death sentence for my pet? As mentioned previously, the earlier it is diagnosed and treatment started, the better the outcome. Due to the nature of this condition, heart failure cannot be cured, only managed. The medication that is given is there to make the animal more comfortable. Studies have proven that certain medication can even lengthen the life span of the animal. The different medications prescribed all have different goals. Some medications (ACE inhibitors) are given to decrease the work load on the heart and in effect decrease damage to already malfunctioning valves. Other drugs which help to remove excess fluid buildup, also called diuretics, will be given and this helps with coughing by decreasing the fluid buildup in the lungs. Long term use of certain diuretics can cause the potassium in the body to decrease and potassium supplements may be necessary. Some drugs which help the heart to contract stronger and better (Positive inotropes) work directly on the heart, and increases the strength of each heart beat. It also decreases the work load of the heart by decreasing resistance in the blood vessels themselves. Other drugs less commonly used are bronchodilators, calcium channel blockers and amino acids like Taurine and L- Carnitine. It is important to feed the right diet. Often commercial pet food contains high amounts of sodium. This will increase blood pressure and thus increase the work load on the heart. There are special veterinary prescription diets available that are low in sodium and have a good, high quality protein. 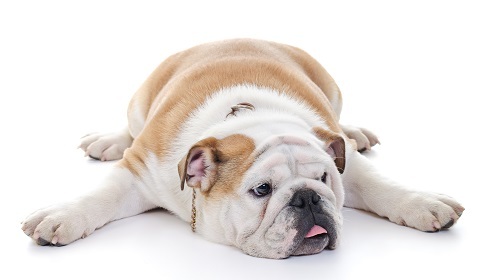 Dogs suffering from severe cardiac failure often lose muscle mass called cardiac cachexia. A good quality dog food is therefore very important to build up and maintain the heart. In most cases of congestive heart failure exercise should be restricted. Never exert the pet to the point where the animal is battling to breath. If going out for short walks rather walk during the cooler parts of the day. Pets that have been diagnosed with congestive heart failure need to visit the vet more often. Depending on the degree of heart failure and the progression of the disease, the initial treatment may require weekly visits to the vet. For most mild cases of congestive heart failure a checkup every 6 months is crucial. During these visits the vet will evaluate how the patient is coping and if any changes in medication needs to be made. The kidneys and liver of a cardiac patient need to be monitored closely, as the decrease in heart function has a negative impact on their function. Liver and kidney functionality is normally tested by means of urine and blood samples. Although there are many dogs diagnosed with congestive heart failure living a happy comfortable life, one need to keep in mind that congestive heart failure is a progressive disease that will deteriorate over time. As the valves degenerate with age, the severity of the clinical signs will increase as well. Regular visits to the vet will ensure early detection of congestive heart failure, and may just give you a few more precious years with your pet.